My second #1 of 5 in 2 days, Hellblazer: City of Demons #1 is the first Hellblazer/John Constantine comic book I have ever read. The movie, Constantine starring Keanu Reeves, was very stylish and right-up my ally in terms of genre films: action, battles between heaven and hell, and based on a comic book. 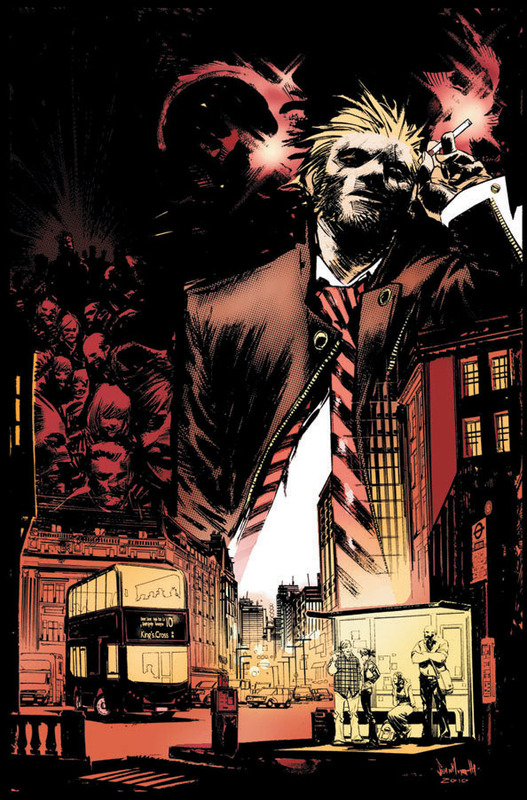 So why then am I just now picking up a Hellblazer book? Honestly, the book was just sitting near where I set down my pile and I thought it was one of my books. By the time I realized it was not mine I noticed a recognizable style and name on the cover, and it wasn't John Constantine. Sean Murphy burst onto the comic book scene with his pencil work in Grant Morrison's Joe the Barbarian. The Vertigo title has an interesting story, but I think it's strong art which includes beautiful large panels by Murphy, has turned Joe the Barbarian into an epic modern-day fantasy which has a very Wizard of Oz feel, at times. So did Murphy's art success carry over into Hellblazer: City of Demons #1? Well, yes, but the best is still to come. The first issue doesn't give Murphy a ton to work with. The issue mostly consists of an accident that John gets into and his trip to the hospital where he almost passes over to the other side. One graphic decapitation via botched hanging panel does stand out, but otherwise, there isn't much on demons or room for a lot of creativity in this comic of the day. Fortunately, there are still four issues to look forward to that are sure to bring an evil creature or two.